Can the Manufacturing Plant Force Me to Work Mandatory Overtime? Home » The Law & You » Can The Manufacturing Plant Force Us to Work Overtime? Can The Manufacturing Plant Force Us to Work Overtime? A worker at a local manufacturing plant is being forced to work mandatory overtime. Since it’s not a union shop, can the employer do this? 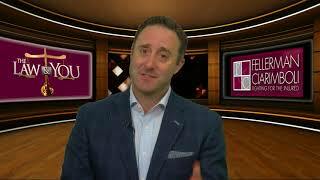 Law and You attorneys Greg Fellerman and Ed Ciarimboli have the answer. Dave Kuharchik: It is time once again for the “Law & You.” We’re addressing mandatory overtime. Two guys who will always work an extra minute if we need them, Greg Fellerman and Ed Ciarimboli. Thanks for being here, guys. Ed Ciarimboli: You’re on mandatory overtime all the time here. Greg Fellerman: Always working. The hardest working guy on TV. Dave: Thank you, I appreciate that. Our question tonight is the following and of course we’re talking overtime. Taylor from McAdoo says, “I work at a local manufacturing plant. Can they make us work mandatory overtime? It is not a union shop.” Is there such a thing as overtime that is mandatory? Ed: Yes, yes there is. Unions get a bad rap a lot of times but this is one of the things that unions do, especially at a manufacturing plant, they are able to negotiated rates, times, salaries for their workers. If it’s a non-union shop, and they have mandatory overtime, they can absolutely say, “You’re working overtime.” And Pennsylvania, you can be fired at-will, it’s an at-will state. So if you say “No, I’mn not going to work that mandatory overtime,” they’re going to fire you. And they are well in their rights to do it. Greg: And if you do work the overtime, you get paid more. Greg: As long as they’re paying you to commensurate the work that you’re doing in the time that you’re doing, then there’s no problem. Sometimes, we’ve seen overtime where they don’t get paid, or they try to pay with other means rather than money. So there’s a lot of different things that happen in these overtime cases. But at the end of the day, you have to work. Dave: So you mean the “work an extra hour, get a free ice cream,” that doesn’t really fly? Ed: Nope, doesn’t really work. Ed: But it’s not legal. Dave: All right, that’s something to think about. And of course, if you need legal advice or direction, the guys to call are right here. The number, their website is on the screen. And as always, results matter with attorneys Greg Fellerman and Ed Ciarimboli. Guys, thank so much.